Rocky’s Fun House01277 210026work Children's Activity CentreAt Rocky's Fun House we pride ourselves on offering your children a fun, safe, and clean environment to play in while the adults can relax with a cup of delicious coffee in comfortable surroundings knowing they can see their children while they play. 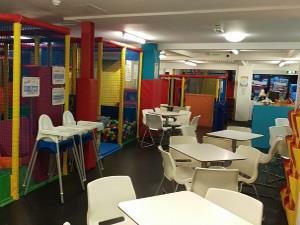 Conveniently located on Ongar Road in the town centre this fun house features two large play areas for babies through to children aged 7/8 to enjoy. At Rocky's Fun House we pride ourselves on offering your children a fun, safe, and clean environment to play in while the adults can relax with a cup of delicious coffee in comfortable surroundings knowing they can see their children while they play. Saturday & Sunday: Often closed for private hire. Please call the team before visiting.